6955 Verde is the Absolute Crown Jewel of Pointe Verde that will captivate you. This estate is an exquisite architectural masterpiece reminiscent of fine European luxury. The Elegant landscaped entry leading to an old world inspired Courtyard with manicured grounds. The home spacious and romantic, with exceptional attention to detail that is obvious throughout this impressive home. 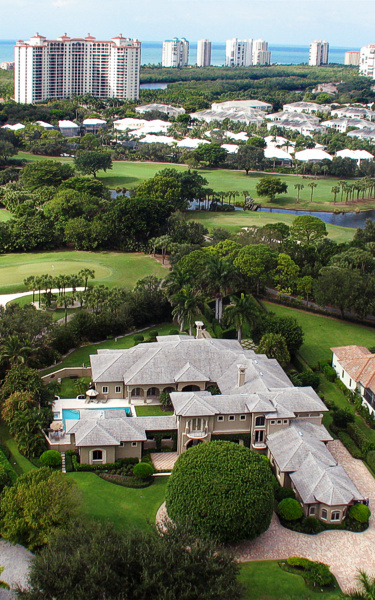 Residents of Pelican Bay enjoy a plethora of private amenities. There are 43 acres of parks, recreation areas, beachfront facilities and boardwalks. The finest amenities are the two beach locations. The beach is accessible to residents only, by showing a Foundation Member identification card. Walk or take advantage of the solar powered trams. These wonderful stretches of white sand extend for almost three miles. Elegant and casual dining are available at the four beachfront restaurants. The Community Center at Pelican Bay houses a state-of-the-art fitness center, wellness studio, computer center, art studio and meeting rooms. Two tennis facilities are located with Pelican Bay and are equipped with a total of 18 Har-tru courts. The Club Pelican Bay is a private, member-owned golf club, which is strategically located in the heart of our community. The Club opened in 1980 and has become one of Naples’ most desirable clubs, as its members enjoy 27 holes of challenging golf.